Kate Middleton owns this style in both black and neutral (see below). 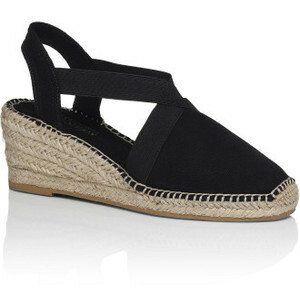 These trusty black espadrille wedges have made many appearances both on and off-duty. They were first seen in 2009 when Kate attended one of Prince William's polo matches. Kate also wore them throughout the 2011 Royal tour of North America. The Pied A Terre 'Imperia' wedges are made from canvas material and feature a classic round toe, buckle slingback and espadrille wedge heel. The style has been discontinued. 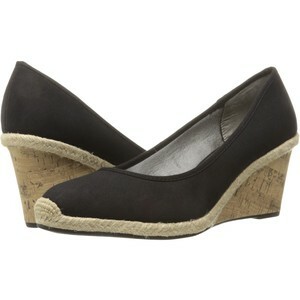 Image gallery of the Pied A Terre Imperia wedges as worn by Catherine, The Duchess of Cambridge (formerly Kate Middleton).